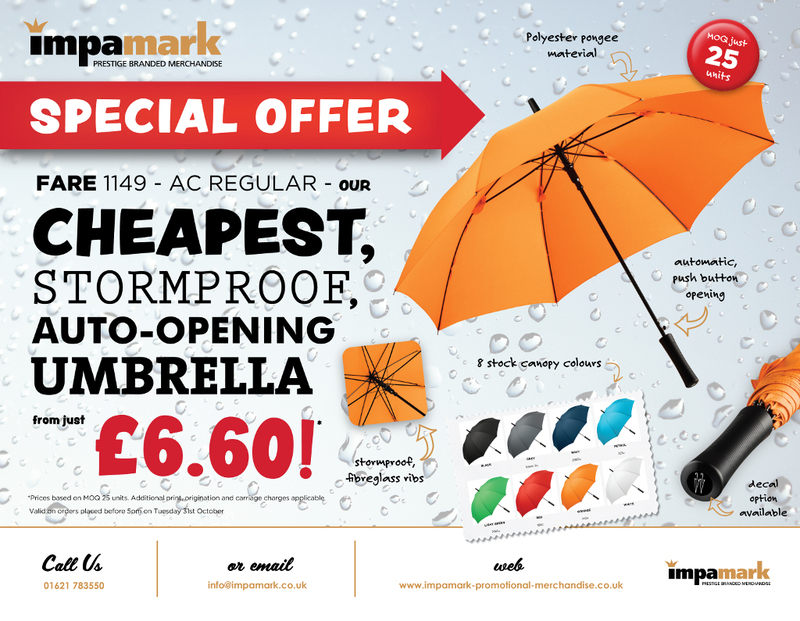 With autumn and the inevitable rain on the way, make sure you grab yourself a great deal. Hurry hurry hurry!!!! Offer closes 31st October. Call us NOW on – 01621 783550 to grab a bargain. This entry was posted in General and tagged cheap, golf, Personalised Merchandise, stormproof, umbrella on September 22, 2017 by nicky.